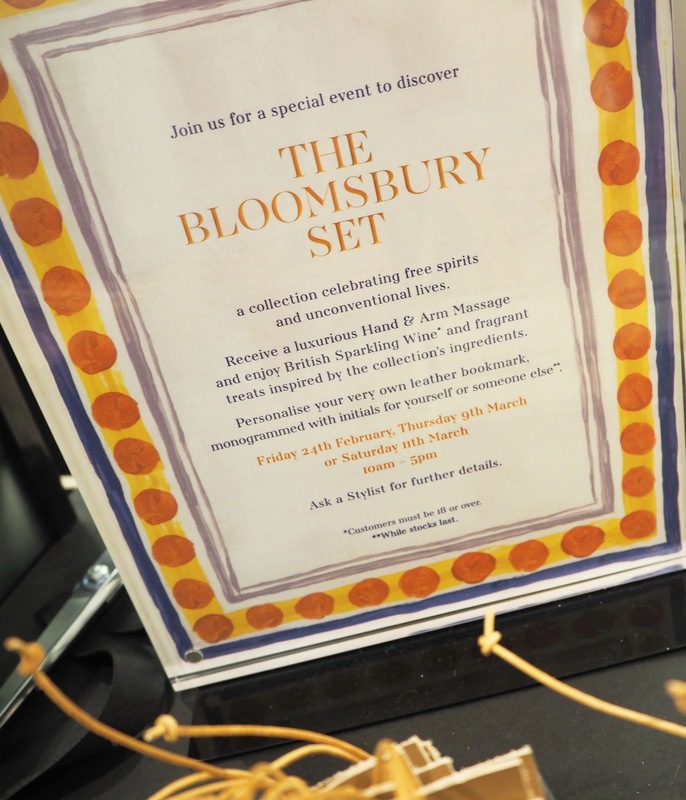 Earlier this month I attended a launch event for Jo Malone's brand new Bloomsbury Set at my local House of Fraser. The staff their are incredibly friendly and made it such a lovely experience. 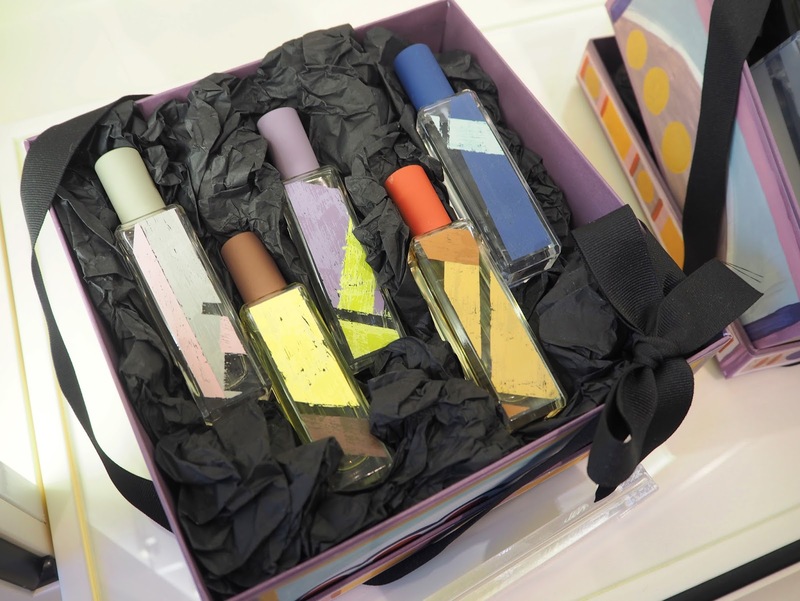 First we were talked though the inspiration behind the range and the abstract art style packaging. 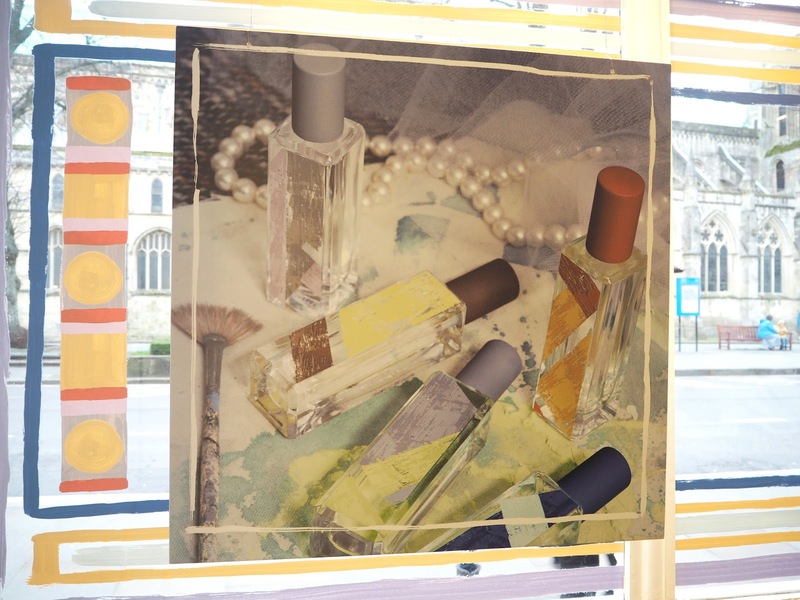 The set includes 5 new and unusual fragrances inspired by the free spirited artists, writers and philosophers of the Bloomsbury Set in Sussex during the early 20th century. These included people like Virginia Woolf and E.M. Forster. I was given each scent spritzed on a card to smell without knowing the name of them beforehand so I couldn't have already formed an opinion on what to expect from each one. 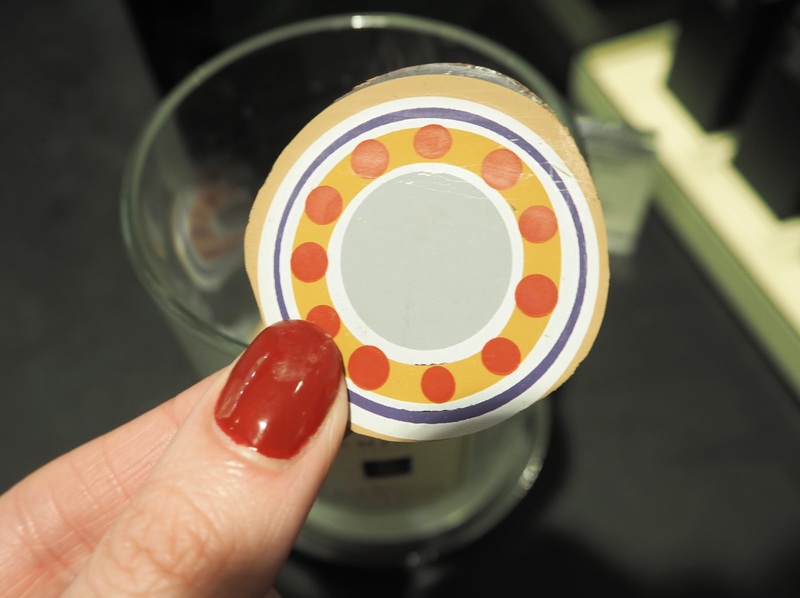 They are all really unusual, complex and interesting fragrances. Garden Lilies was one of my favourites, it's a fresh dewy floral that I would happily wear everyday. Blue Hyacinth is slightly softer and woodier in scent. Leather & Artemisia really surprised me as I wasn't expecting to like it but I thought it was lovely, artemisia is a type of plant! Whisky & Cedarwood was a rich, masculine fragrance that I liked (it actually reminded me of a candle I own) but personally won't wear myself. I think it would be a great option to gift to a man though. Lastly Tobacco & Mandarin, now I must say I really didn't think I would like this. I thought Tobacco in a perfume, eww! However this turned out to be one of my absolute favourites from the collection. It's a vibrant fruity scent leaving just a slight lingering light, sweet smokiness at the end that I think is incredible! So my favourites were definitely Garden Lilies and Tobacco & Mandarin. My Mum's favourites were Garden Lilies and Blue Hyacinth. 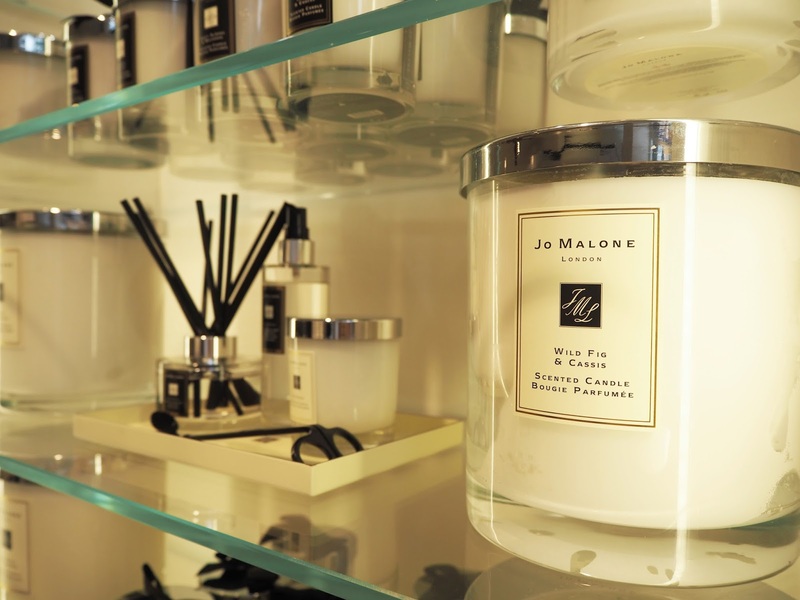 We were then treated to a luxurious hand and arm massage with our choice of Jo Malone products! I was able to choose a wash, a lotion and a fragrance to spritz on at the end. I wanted to a different Bloomsbury perfume on each arm so I went for my favourite Peony & Blush Suede in the wash and lotions and then on one arm I chose to have Garden Lilies spritzed on one arm and Tobacco & Mandarin on the other. 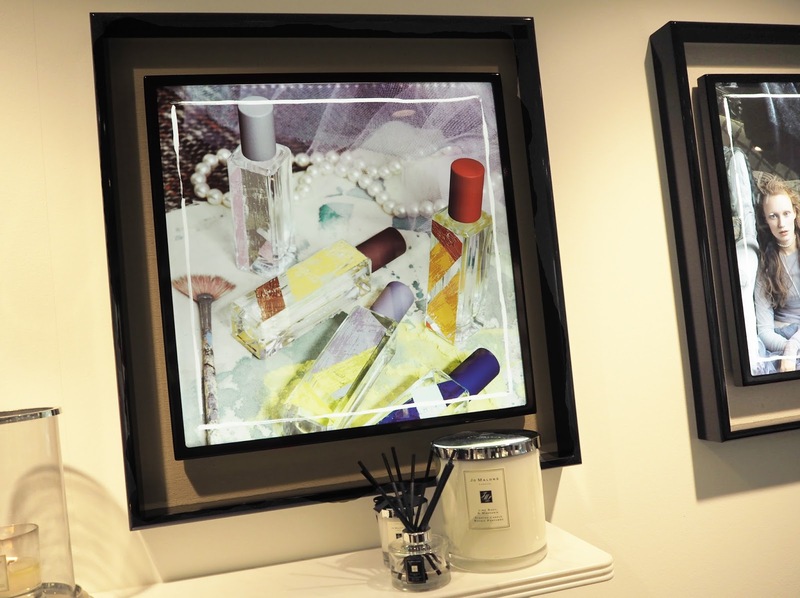 Jo Malone products work really well when layered whether you're using the same fragrance or mixing different scents for a completely unique result! 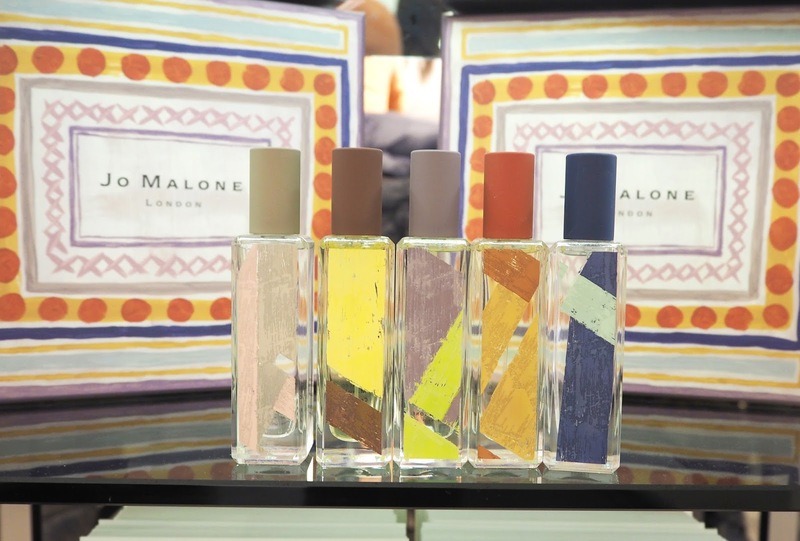 My favourite regular Jo Malone scents are Peony & Blush Suede, English Pear & Freesia and Basil & Neroli. 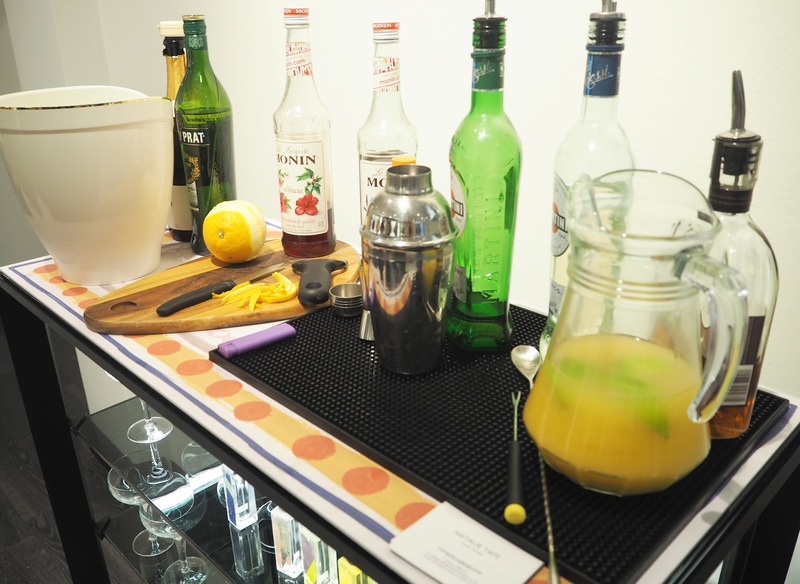 There was even a cocktail maker who was making cocktails inspired by the fragrances! I went for one with Prosecco mixed with some hibiscus syrup which was delicious. I would've liked to have tried more but I had to bare in mind it was only the middle of the day and I had to get home afterwards! There were also some giant chocolate buttons with the Bloomsbury design printed on them, I thought this was a really nice touch. in their legendary country house in Sussex. Warming whisky and sweet pipe tobacco. burnished by footsteps in the night. Whisky & Cedarwood | An enigmatic blend of fine whisky and opulent roses edged with spicy pimento, warm cedarwood and an intriguing accord of waxy wooden floors. Blue Hyacinth | Intoxicating bold blue hyacinth warmed by the sun entwined with the vibrancy of garden geraniums and woody vetiver. Tobacco & Mandarin | Vibrant mandarin and herbaceous save sweetened with the warn elegance of beeswax and sweet pipe tobacco. Leather & Artemisia | The striking green facets of anise-tinged absinthe blend with aromatic artemisia, soft orriswood and the deep richness of leather enhanced by the amber woody notes of cypriol. Garden Lilies | The scent of dawn at the lily pond captured with effervescent water lilies, dewy green sap and lush ylang ylang enhanced with white Musk and a wisp of vanilla. The Bloomsbury Set is out now but it's limited edition so hurry! Priced at £46 for each 30ml perfume bottle and would make a perfect gift for Mother's Day. Unfortunately I couldn't afford to buy any of the scents at the time which is a shame because if money were no object I could've easily splurged the whole collection! 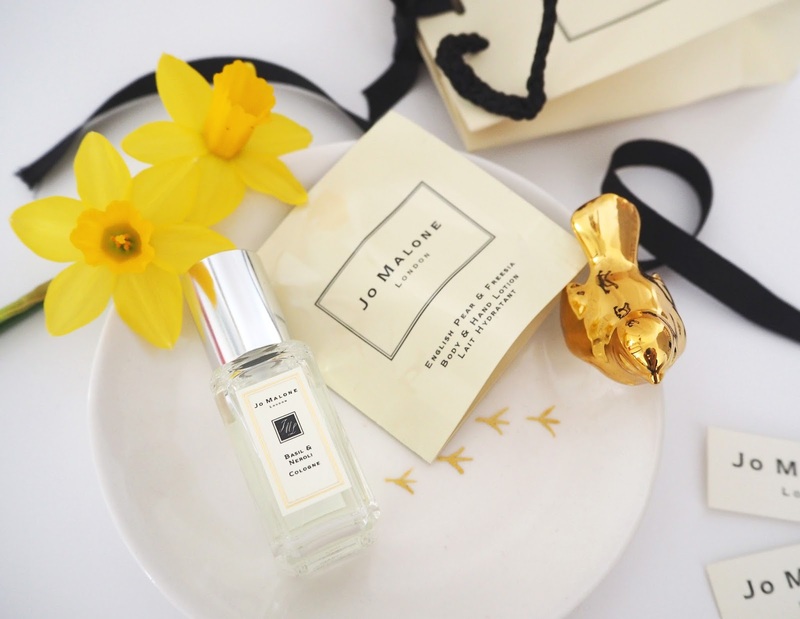 Fragrance descriptions taken from the Jo Malone official website. Before I left I did get a little goodie bag containing a couple of samples (yay!) which included a mini Basil & Neroli Cologne and a sachet of English Pear & Freesia Lotion. 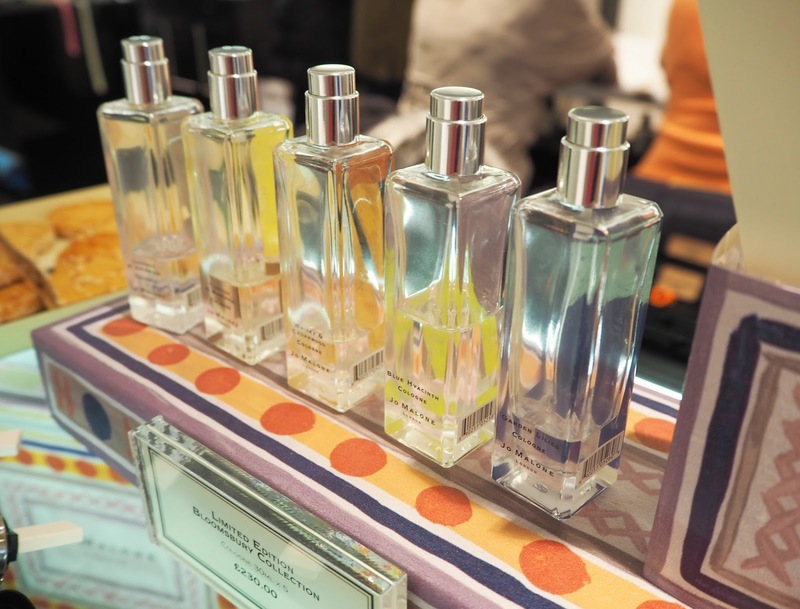 Let me know if you have tried any of the Bloomsbury fragrances yet! Which scent do you like the sound of most?